Mailed catfishes are members of the family Callichthyidae. They are characterised by a combination of the following features: the body is enclosed in bony plates; the first ray of the dorsal and pectoral fins is spinous; the mouth is toothless and surrounded by barbels. 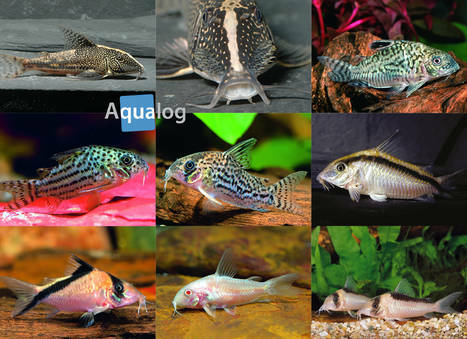 The family is divided into two subfamilies: the subfamily Corydoradinae, which is very important in the aquarium hobby and comprises the genera Aspidoras, Brochis, Corydoras, and Scleromystax, and the subfamily Callichthyinae, whose members are only rarely maintained in the aquarium and consist of the genera Callichthys, Dianema, Hoplosternum, Lepthoplosternum, and Megalechis. 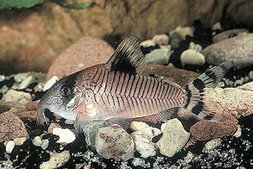 While the Callichthyinae include only about a dozen species, the true mailed catfishes (Corydoradinae) are very species-rich: some 160 species are known to science, and about the same number again have not yet been scientifically described and are known in the aquarium hobby by C- or CW-numbers. All mailed catfishes originate from South America. 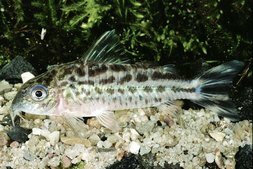 Apart from a few exceptions, mailed catfishes are bottom-dwelling species, which means that the arrangement of the bottom third of the tank is of primary importance. Part of the aquarium bottom should be covered with fine river sand (never builder’s sand! ), in which the fishes can grub for food. An excess of rocks and bogwood should be avoided. Mailed catfishes are sociable creatures and should be kept in a group of at least 6-8 individuals, though it is relatively unimportant whether or not this group consists of one or several different species. 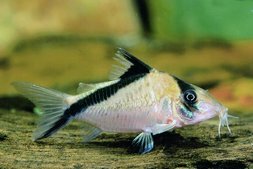 The chemical composition of the aquarium water is unimportant when it comes to maintenance, but it should be born in mind that species with a striking metallic spot on the nape originate from so-called black water. This water is very soft and acid, such that few bacteria can survive there. The chemical composition of the water is, however, physiologically unimportant for mailed catfishes; good water quality is much more critical, as manifested above all by the bacterial population of the water. 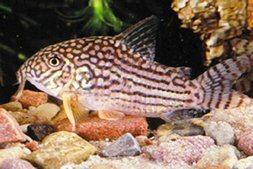 Mailed catfishes from blackwater biotopes require well-maintained, germ-poor water. This can be achieved by efficient biological filtration, the addition of humic substances using peat, Alder cones, or dead leaves from trees (there are also suitable liquid preparations), as good a plant growth as possible (many aquatic plants produce antibiotic substances that have a limiting effect on bacterial growth), and regular extensive partial water changes (see below). 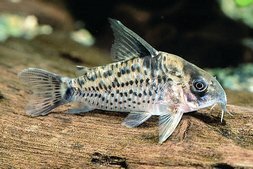 By contrast the mailed catfish species most commonly maintained in the aquarium, the Peppered Catfish (Corydoras paleatus) and the Bronze Catfish (Corydoras aeneus) are completely undemanding and also occur in heavily polluted (with organics and bacteria) waters in the wild, which means that they have an enormous tolerance for living conditions that are hostile for other fishes. The appropriate water temperature for the long-term maintenance of all species is generally between 22 and 26 °C, but almost all mailed catfishes can also survive temperatures of up to 30 °C for short periods (a few days to weeks) and almost all species will tolerate a short-term drop (a few days to weeks) to 18 °C. In the case of species of southern provenance (Uruguay, Paraguay) the temperature can sometimes drop as low as 14 °C. In the wild mailed catfishes feed mainly on so-called detritus, the decaying remains of plant and animal wastes. 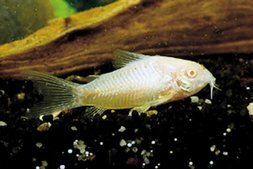 In the aquarium they can be fed without problem on all the usual proprietary foods (dry, frozen, and live) for ornamental fishes. Mailed catfishes are popularly maintained as scavengers in the aquarium, but it is essential to ensure they get enough food! Dead leaves (of Sea Almond, Beech, Oak, Alder, Birch) should be provided as a supplementary food for all species, and are very similar to food of the fishes in the natural habitat. The blackwater mailed catfishes are sensitive to a high germ count in the water and high levels of nitrogenous compounds. For this reason regular large partial water changes are the most important element of maintenance. 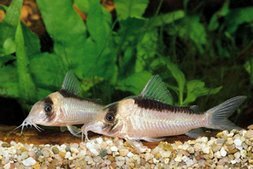 Ideally 1/3 – 2/3 of the water should be changed every week, refilling with conditioned, fresh water of the same chemistry; at the same time the difference in temperature between the new water and the aquarium water should be as small as possible and never more than 2-3 °C. 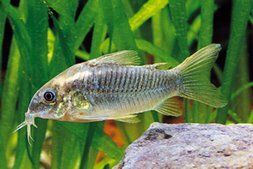 In aquaria with a low fish density, minimal germ population, and good biological filtration, water changes can be reduced to 1/5 of the total volume every 14 days. Longer intervals should not be employed in the long term. In line with the natural habitat, these fishes should always have access to secondary plant material. Dead leaves (of Sea Almond, Beech, Oak, or Walnut), Alder cones, or peat can be utilised, or special liquid preparations added at every water change. The remaining species can be maintained using the normal water-changing regime for all aquarium fishes, namely around 1/5 of the total volume every 14 days. A very large water change of around 80% of the tank volume with cooler water (around 10 °C colder than the aquarium water) is a trigger for spawning in numerous species, without which they won’t lay eggs. If there is no intention to breed then this sort of radical water change is best avoided out of respect for other tank occupants, who may not tolerate this treatment well if at all. Mailed catfishes are peaceful but active swimmers. 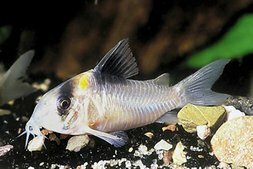 The minimum aquarium length should be 5-10 times body length and the width 3-5 times body length. 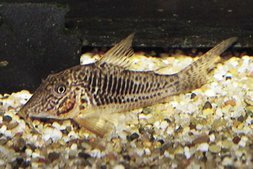 The aquarium depth is of secondary importance for all but two species, as mailed catfishes are bottom-dwellers. 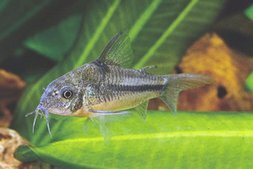 The exceptions are the Pygmy Corydoras (Corydoras pygmaeus) and the Tailspot Pygmy Cory (Corydoras hastatus), which grow to only 2-3 cm long and have adopted a free-swimming lifestyle. 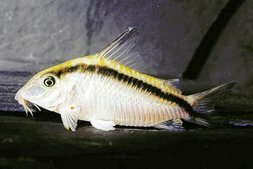 These species should be maintained like barbs or characins of comparable size. In the wild the majority of mailed catfishes probably live for just one season, in the aquarium, however, they are regarded as long-lived. Even the smallest species live for several years, and the larger ones even longer, sometimes even 10 years or more. Mailed catfishes grow quickly and usually attain sexual maturity at the age of 4-6 months. 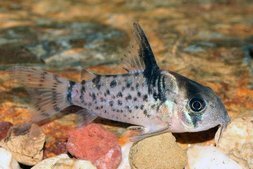 From then on growth is relatively slow, although mailed catfishes, like the majority of fishes, continue growing throughout their lives; however, because maximum length is significantly less than 8 cm in 95% of the known species, this is of little importance. Only Brochis species and the majority of the Callichthyinae grow to any size, with 8-20 cm in length to be expected, depending on the species. 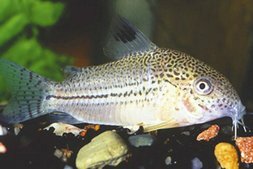 Because of the huge distribution and the enormous variety of species, please note the exact scientific name of any species that interests you, along with the precise maintenance conditions required, above all the water temperature and the pH tolerance, as stated on the label on the sales aquarium. 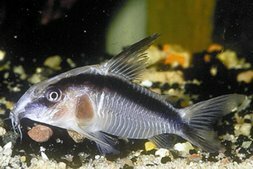 While blackwater species can generally be kept without problem in harder water and at a higher pH than in the wild, other species may tolerate very low pH values very badly.